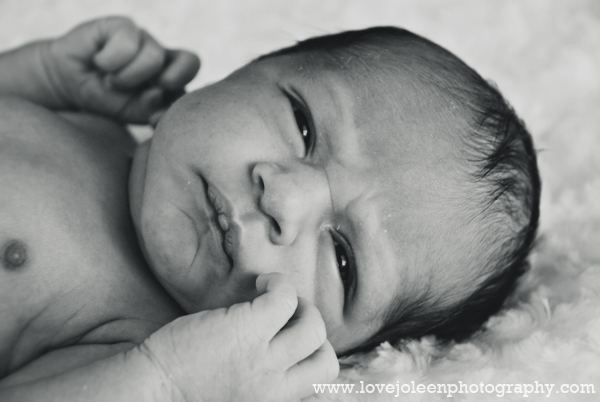 Love, Joleen : Guest Blogger | A Well Lived Life - HypnoBirthing: What is it and how does it work? Guest Blogger | A Well Lived Life - HypnoBirthing: What is it and how does it work? Today Benjamin and I have another long (though not quite as long) day of travel. We're flying out of LAX and are anticipating a 2-3 hour drive in traffic there. Our flight is only about an hour long into San Francisco and then we'll be riding into Hollister to visit one of my very best friends, Heather, for the week. We had an intense and fun-filled week in Southern Cali with family and I can't wait to share photos and tell you all about it! Today's guest post is by Carol Yeh-Garner of A Well Lived Life. Carol was my HypnoBirthing instructor and I'm thrilled she agreed to contribute here with a really great article that explains what exactly HypnoBirthing is. You can read mine (and Benjamin's) HypnoBirthing story here. Mention the words “giving birth” to an expectant mom in her last trimester and chances are good that her heart begins to race, her mind floods with concern and in some cases she panics. She knows that the day is coming when the baby needs to come out. For some women, this is a very fearful event, but for HypnoBirthing moms, it is merely a challenge. HypnoBirthing moms use hypnosis to eliminate pain and fear from the birthing experience. In the past, the word "hypnosis" conjured up images of stage hypnotists re-creating Elvis, people clucking like a chicken or mesmerizing others into embarrassing situations. Now it is common for hypnosis to be used therapeutically in many areas of medicine, dental anesthesia and personal therapy sessions. Even so, there are many misconceptions regarding hypnosis that keep people from utilizing this powerful tool. * All hypnosis is self-hypnosis; the hypnotherapist is only the guide. A person chooses to enter into a hypnotic state, stay in and come out at will, and is always in control. * Approximately 90-95% of the population can be hypnotized. Willingness, belief and motivation have great influence over your ability to be hypnotized. * During hypnosis you are neither asleep nor unconscious, and will always "come out" when you wish. You are not in an altered state of consciousness, but rather a heightened state of awareness. * Stronger-minded and stronger-willed people are easier to hypnotize; not the other way around as is usually assumed. * You cannot be made to divulge information or do anything against your will while in hypnosis. *Hypnosis is not Satanic or religion-oriented at all! It’s just a way to direct your inner mind toward the positive. You actually go in & out of a state of hypnosis every day. For example, how many times have you been in your car, arrived home & realized that you hadn't been paying attention to driving? Your unconscious drove home while your conscious mind was thinking of something else. In other cultures, childbirth is regarded as a natural, normal event in a woman's life. The birthing women are given support from other women, and children are often present to witness the event. In this way, birth is celebrated and honored. Young girls then grow up with the belief system that birth is a positive event and their expectations of childbirth reflect this attitude. As a result, their births are similar to their predecessors; without pain and fear. They have a positive expectation of childbirth. In our culture, it is very much the opposite. For many generations, we have been told that delivering a baby requires many hours of painfully agonizing work, to be faced with fear and anxiety. We have heard stories from well-meaning friends and family that send shivers up our spines, and so the legacy continues. We experience pain in childbirth because we very much expect to! HypnoBirthing not only reprograms your mind to regain the trust in your body’s natural ability to birth your baby in a comfortable manner, but also releases the fears about birth and parenting so you can go into your birth confident and calm. HypnoBirthing moms learn how to hypnotize themselves to manage their labor, helping them to relax and let their bodies take over. If women are terrified of childbirth, the fight-or-flight reflex kicks in once the contractions start. This reflex shuts down organs that are nonessential to fighting and fleeing, including the uterus. With reduced blood flow, the uterus cramps, causing pain. If women are able to relax, they would experience labor contractions more comfortably, have more effective contractions and therefore a shorter labor. In this calm state, endorphins -- naturally occurring chemicals in the body that can relieve pain -- replace the stress hormones that contribute to pain, making birth more comfortable, easy and sometimes even enjoyable! HypnoBirthing is a childbirth education process that includes a major focus on many of the techniques used in hypnotherapy to relieve fear. It breaks down the myths about birth along with myths about hypnosis and empowers the mother & her partner about their birth experience & their choices for their birth. It also utilizes deep relaxation techniques, visualization techniques, deep breathing, affirmations and fear release hypnosis so that couples go into their birth confident and calm. Other childbirth classes approach pain as a given and try to find ways to deal with pain, from medication to massage, but HypnoBirthing teaches women to transform the sensation of pain so that it feels like something else, like pressure or tightening, which makes it more manageable. The healthiest way to deliver a baby is to be very relaxed and allow the body and the baby to do the work that they normally and naturally know how to do. HypnoBirthing isn’t just for those couples wanting a natural, unmedicated birth, although most that take the classes are wanting a natural birth. It is very helpful for moms-to-be wanting an epidural, even c-sections, since it allows the mom-to-be to relax, therefore allowing relaxing and healing endorphins to be released rather than stress hormones. * Shorter labors - resistance of the birthing muscles as a response to pain is minimized or eliminated. * A calmer, more peaceful birthing environment. Couples learn the techniques by taking five 2 ½ hour classes sometime between their 5th and 7th month of pregnancy. Carol Yeh-Garner is a Nationally Certified Clinical Hypnotherapist, a Licensed Clinical Social Worker & a Certified HypnoBirthing Instructor. She has had two very successful HypnoBirths of her own. She teaches group HypnoBirthing classes in Encinitas, CA in North County San Diego and also works with people struggling with anxiety, phobias, wanting to quit smoking, wanting to lose weight, having sleep issues, and learning stress management in her office in Encinitas and over the phone. 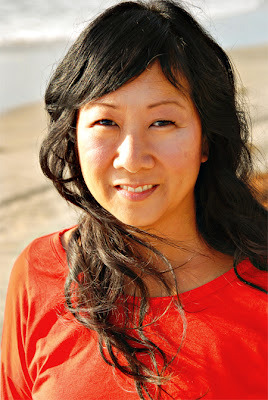 You can learn more about Carol’s hypnotherapy services and HypnoBirthing classes at AWellLivedLife.net. If you are out of the San Diego area, you can find a HypnoBirthing practitioner at HypnoBirthing.com. You can also read HypnoBirthing stories on Carol’s blog at A Well Lived Life.